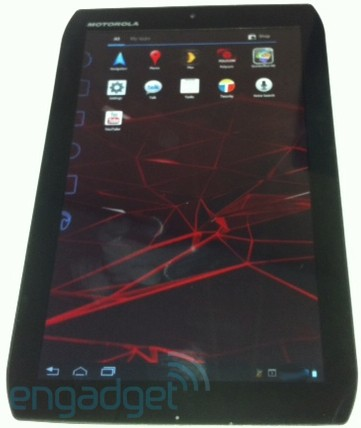 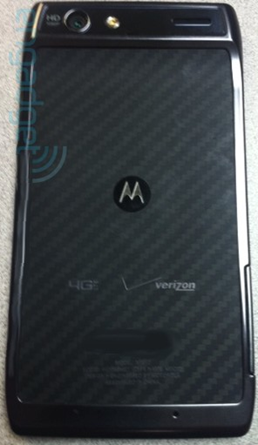 A couple of new images of both the internally-named Motorola Spyder, rumored to be the device Moto and Big Red have planned to announce as the Droid RAZR on October 18th, as well as the 8.2-inch variant of the XOOM 2 have surfaced. 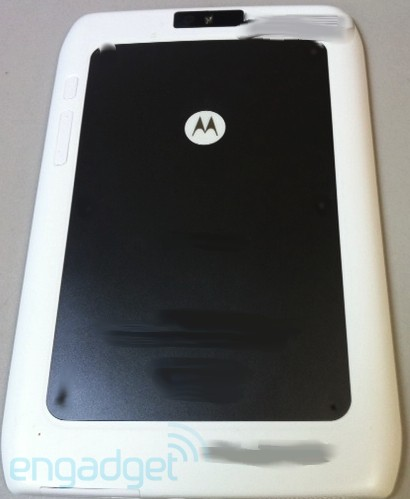 While we've already seen rough prototype shots of both XOOM 2 variants once before, this new leak shows a much more polished look on the little brother, suggesting that it's near completion and most of the kinks have been worked out. 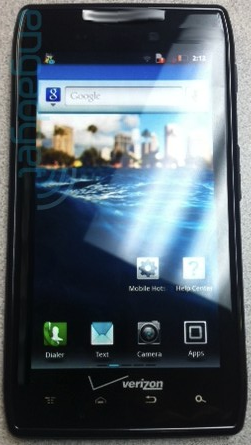 The Spyder is now donning Verizon logos on the front and back, as well as a 4G LTE logo. According the the tipster that sent these images to Engadget, the Spyder is packed with a 1.5GHz processor, although it will be released with a clock speed of 1.2GHz. No worries though, I'm sure the boys over at XDA or RootzWiki will take care of that little issue so we can unleash the full power of this beasty shortly after it hits the market.